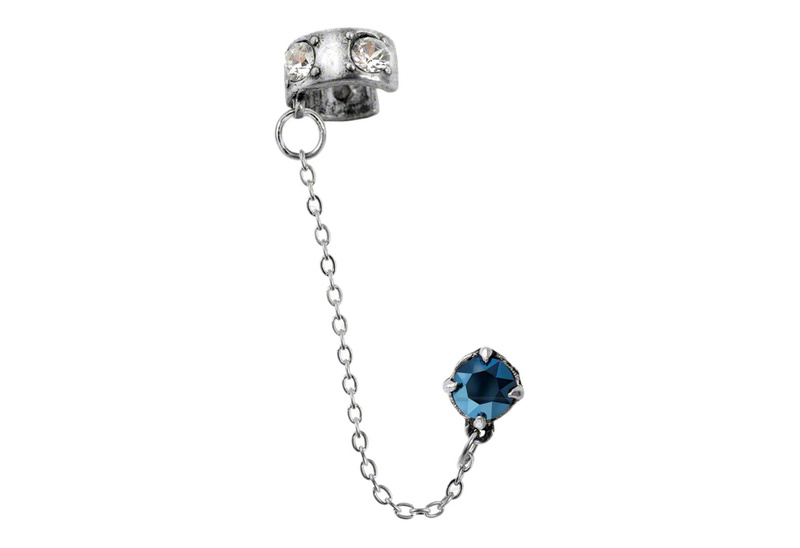 Silver cuff with clear stones and blue stone stud with connecting chain. Single earring. 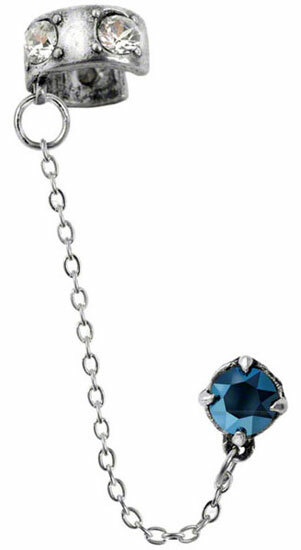 Made of fine English pewter, steel post, and Swarovski crystal. Imported from the UK. Measures approximately 0.55 inches wide, 3.86 inches high and 0.67 inches deep.